Bagan is an ancient city tucked away in central Burma. The city was the capital of the Kingdom of Pagan from the 9th to the 13th century. It was the first kingdom to unify surrounding regions that now make up present-day Myanmar. At the height of the kingdom’s rule, over 10,000 Buddhist buildings and edifices we built in Bagan. Fast-forward to today, over 2,000 pagodas, temples and monasteries remain magnificently scattered in the plains of the ancient city—each highlighting the meticulous artistry of early Burmese craftsmen. 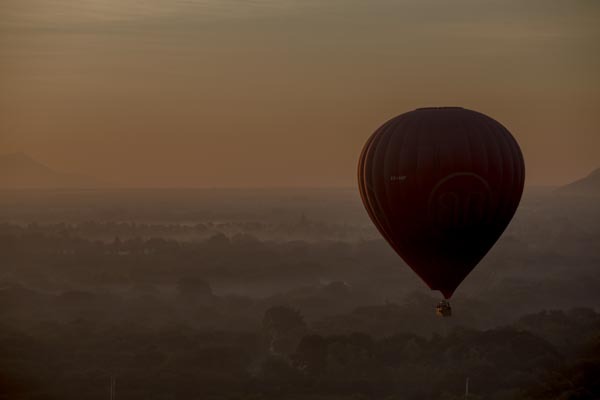 There are a number ways to experience Bagan’s marvels, but a hot air balloon trip over the city offers the best view. Unlike the other cities in Myanmar, Bagan experiences little to no rain, and is perfect for visiting at any point in the year. 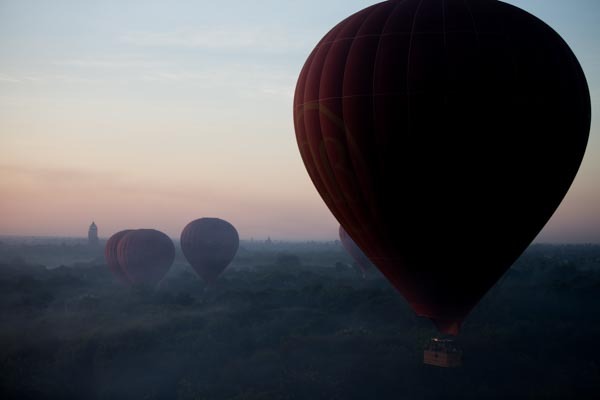 Explore the ancient surroundings of Bagan with a hot air balloon ride that starts at 5 am. 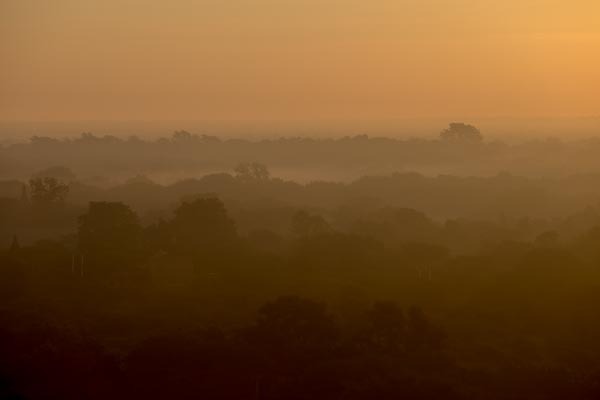 Fog hovers above the ancient city in the early morning. Little by little, its misty curtains are hoisted up—dissipating—revealing what once was an empire. High and mighty. 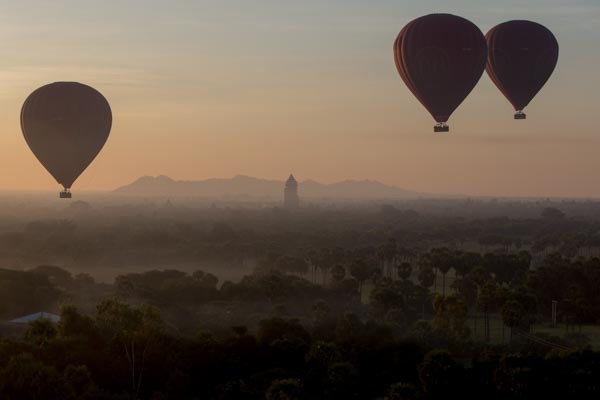 Sail above the ancient city of Bagan, Burma’s first capital and home to the ancient kings that built it. 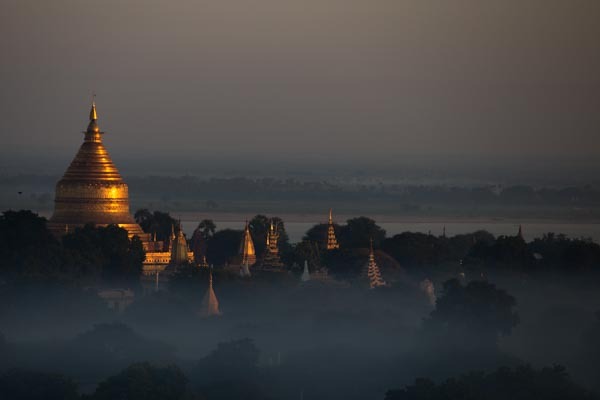 Glistening in gold as they peer above the trees, the pagodas gloriously evoke the lost era of Burma’s ancient kings. 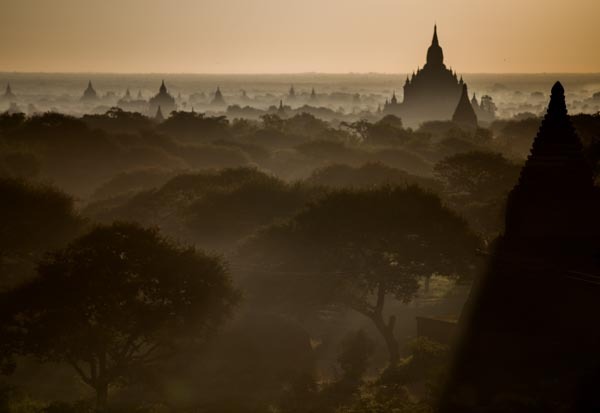 The empire may be long gone, but the glory of Bagan continues to reign through the abundance of life—its trees, the fresh air, and the absence of tyrannical rulers.